Epic, entertaining, blasphemous, this is the most influential and controversial of Science Fiction novels. 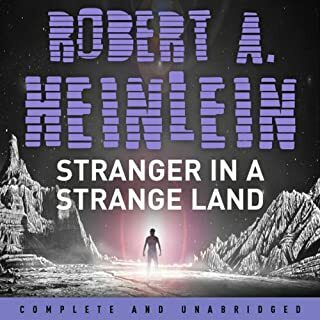 Stranger in a Strange Land caused uproar when it was first published as it savaged conventional religious, sexual, and social ideals. Many years in the future, Valentine Michael Smith's upbringing is exceptional. Orphan child to two astronauts killed in space, he is raised on Mars. Twenty-five years later he is "rescued" and brought back to Earth. The initial enthusiasm of the administration in Smith's safe return is soon dampened by the realisation that they cannot control him. The reader cannot handle multiple voices, not even for 10 seconds. This makes it hard to follow conversations. I cannot give the reader a negative or zero rating, so the overall rating is not an average of the others. The story is good. not to mention the conflict of logic when the work is supposed to be unabridged).